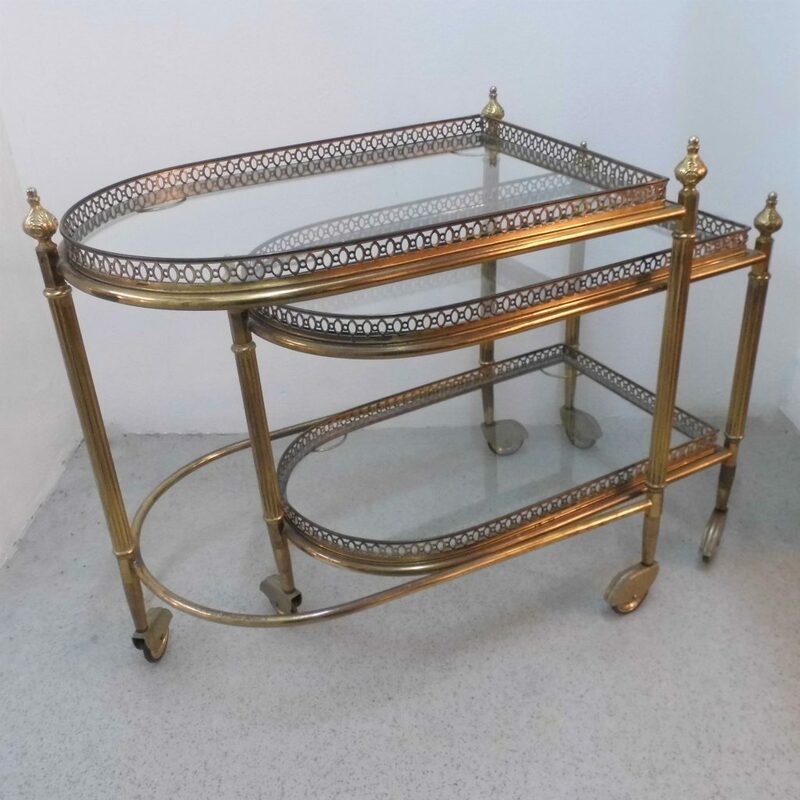 A very stylish pair of nesting Brass drinks trolleys made in England around 1950 . 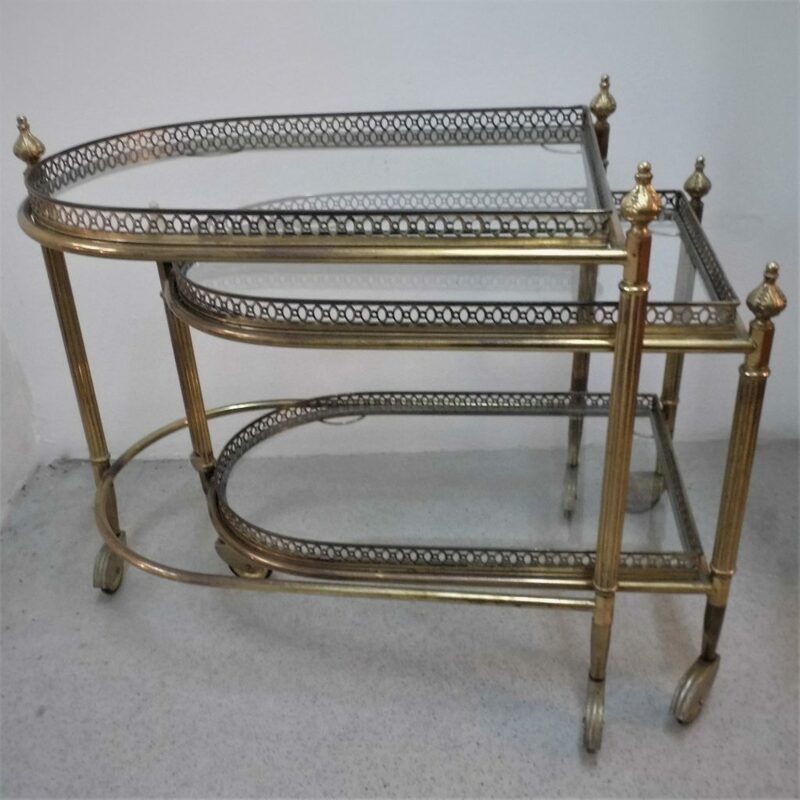 This pair of trolleys have a distinctive demi lune shape and with the pierced brass galleries and finials have great decorative appeal. 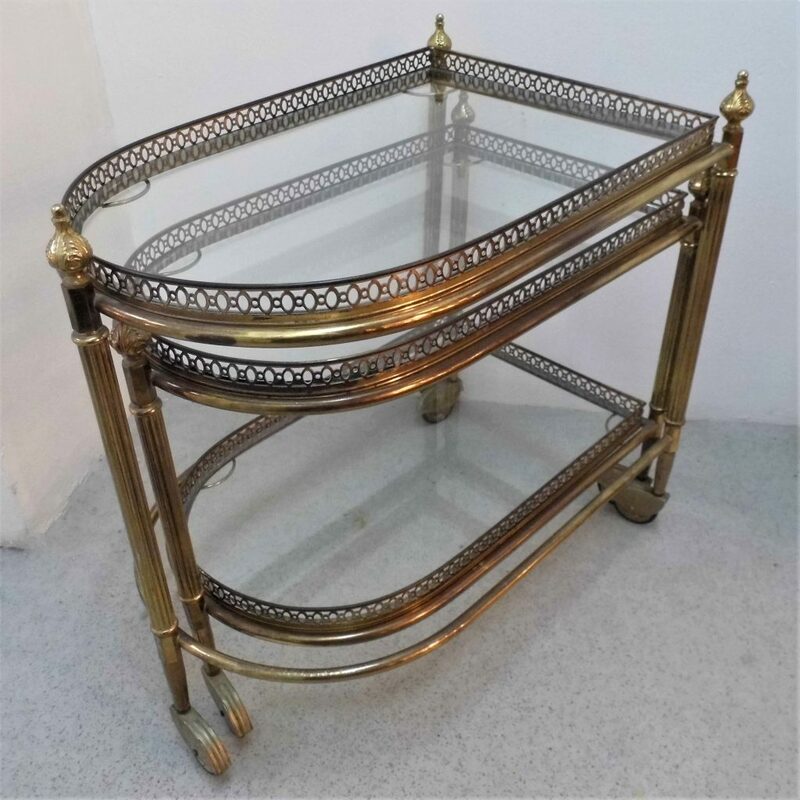 The smaller trolley has two lift out glass bottomed serving trays and the larger a single tray. The trays are in good vintage condition and wheel smoothly.